If you’re a missionary, you have produced many prayer cards. If you have supported a missionary, you’ve received many prayer cards. There is a bounty of prayer cards flying around out there. Over the years, Denise and I have used lots of different photo gimmicks to keep the prayer cards interesting. Surprisingly, over the course of 28 years we have never tried the “matching clothes” theme. 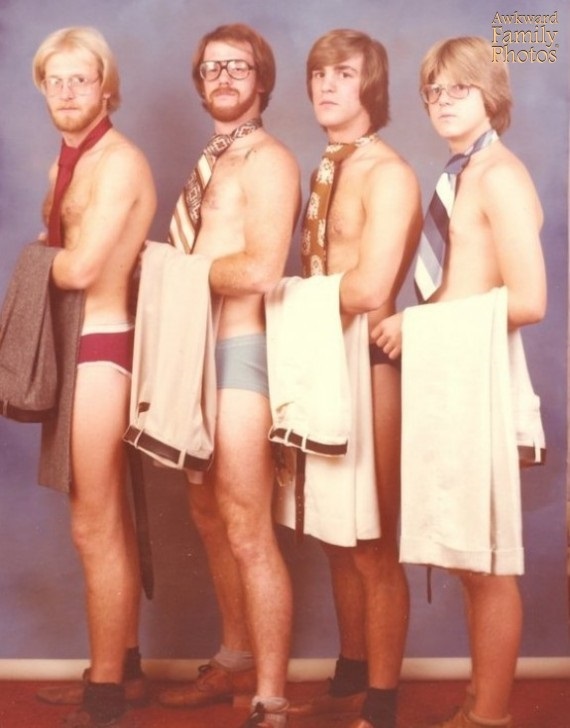 The above Christmas photo of the kids in semi-matching robes is the best I could find on us. I think Bud was in 8th grade in this shot. Cute little woodchuck, huh? A matching clothes prayer card just screams, “We’re all in for missions”. Seriously, I can imagine Paul and Silas wearing matching togas to an Antioch Church missions conference. Really. I’ll bet that happened. Anyway, until we actually do our own matching clothes photo shoot, enjoy these stellar examples of what matching clothes can do to promote your ministry. And remember: Don’t over think any of them. 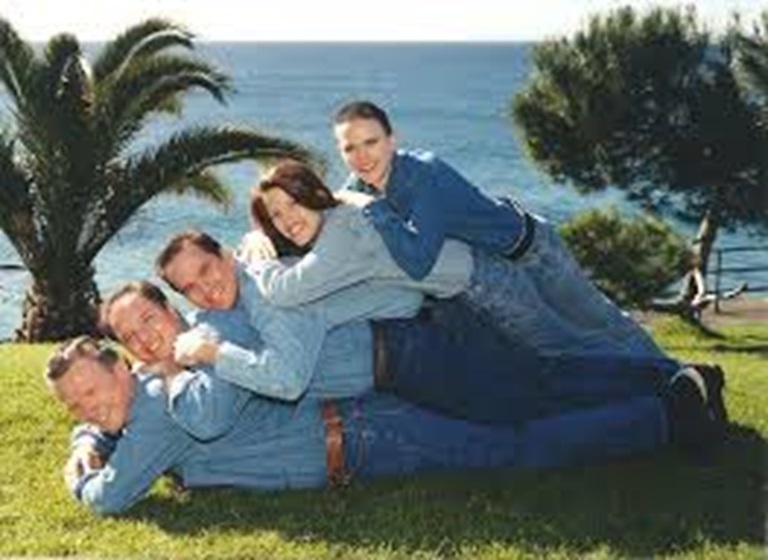 Everybody in denim is a staple for missionary prayer cards. The staying power of the denim clothing format is so strong, you can still see these photos floating around on church bulletin boards around the world. Look for ’em. Wearing ties is a prayer card must. A tie adds a little legitimacy to your mission. But always remember to put on your pants for the photo. Holding your pants is just not enough. Even old guys like me can remember that rule…most of the time. 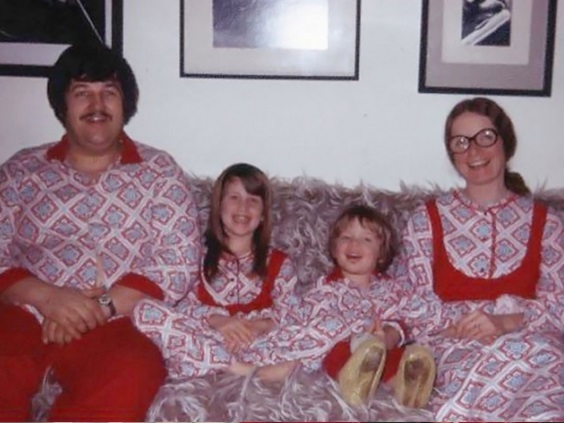 So, you couldn’t find matching leisure suits for the prayer card photo. Not a problem. 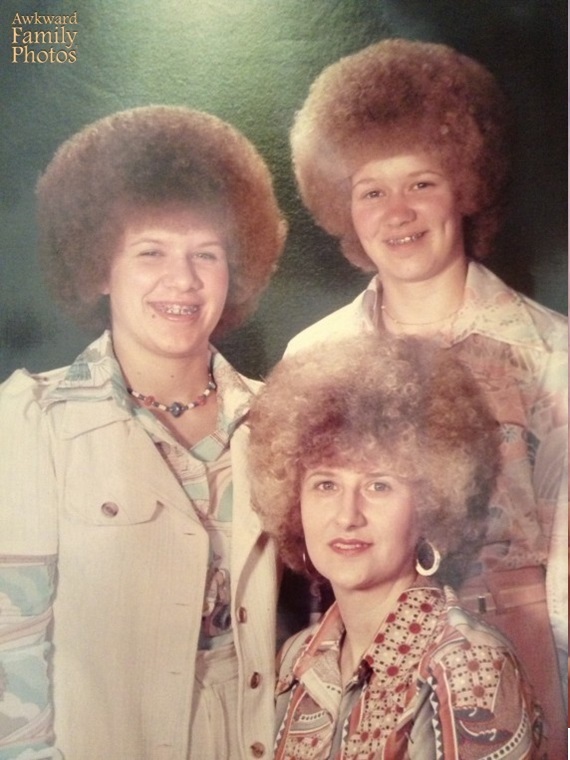 You can have matching family ‘fros. It works. Sometimes you find curtains from a truck stop in the missionary barrel. We’ve all been there. 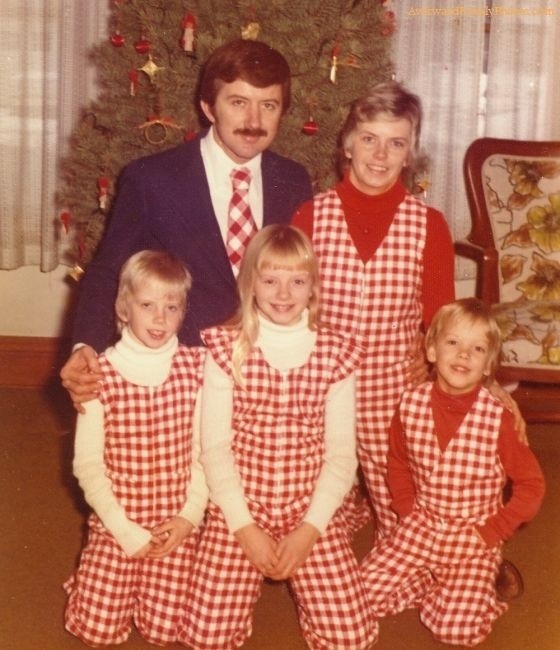 And naturally, you’ll want to make matching gingham jumpsuits for the family. Unfortunately, even Dad’s matching tie can’t deemphasize that cheesy mustache. Lose the smug look and the ‘stash, Dad. And gear up in a jumpsuit and join the party. The matching meat clothing concept always works for any prayer card. 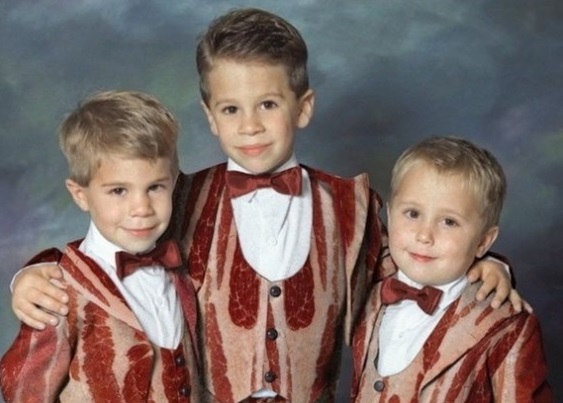 The only bigger score would be all bacon outfits for the whole family. Everybody loves the bacon. Let’s say most of your donors are in Ely, Minnesota. 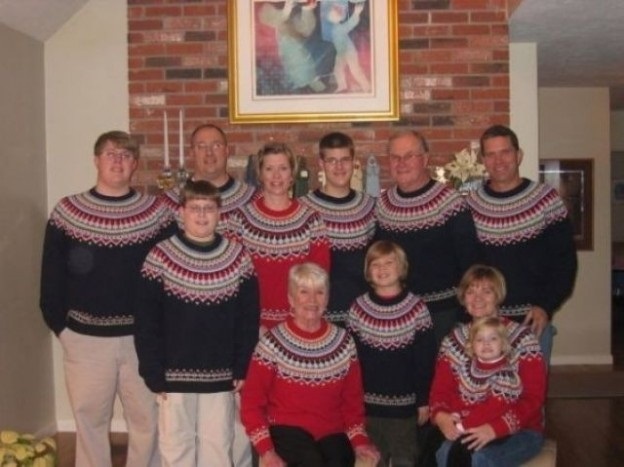 The Nordic frenzy sweater look begs people to “PUT THIS ON YOUR FRIDGE FULL OF LUTEFISK!! !” Mmmmmm. Swedish holiday fashion and food. The perfect combo. Uh oh. 1992 called and does not want these people back. 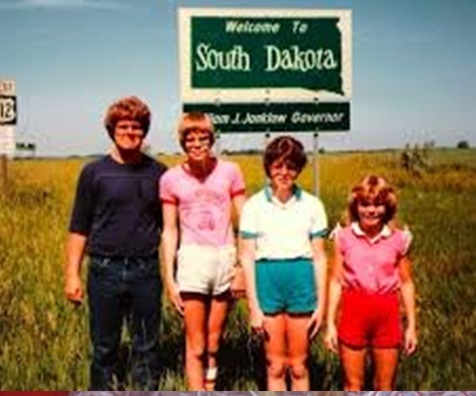 Those parachute pants may not get you the respect you crave but shoot, if you pull ’em up to your chest and wear a pink tee shirt…like these people…you may salvage some dignity. Or not. I dunno. Plaid and glad. 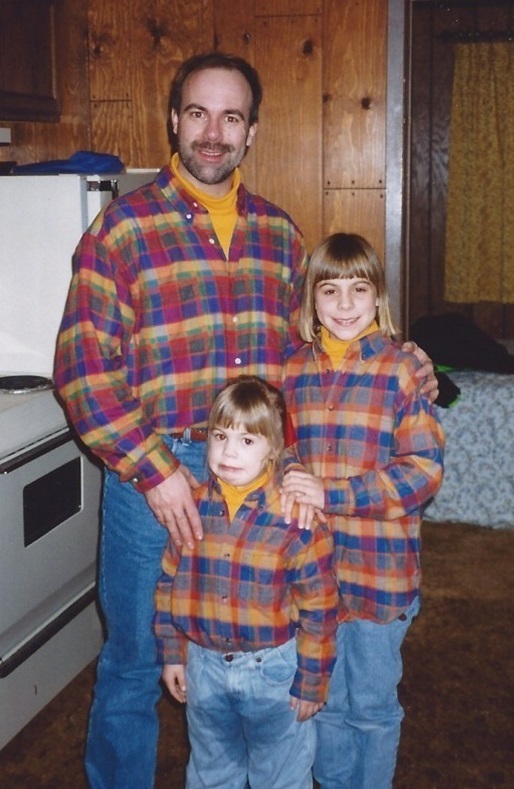 It doesn’t get any better than matching plaid shirts and yellow dickies. Well, sis wetting her pants was a nice touch too. 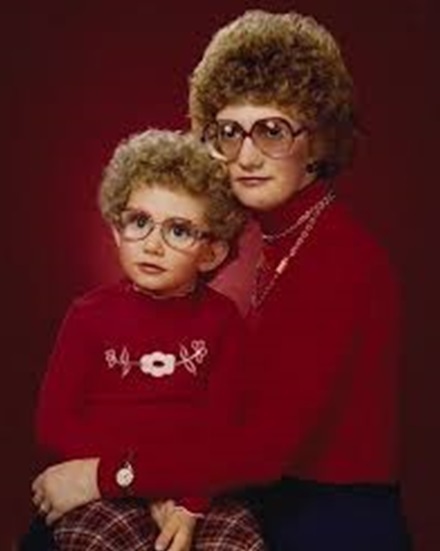 I love the way mom volunteered to take the photo. She knew how to avoid participating in this fashion atrocity. Sometimes you just have to go with a “pity us” prayer card. Depressed people wearing depressing matching clothing with depressing hair completes the woeful motif. Welcome back to the USA!!! Those great “we’re-on-furlough-and-loving-it!” photos make for great prayer card photos. Why aren’t these people wearing matching clothes? Well, they’re wearing matching uncomfortable forced smirks!! And that works even better. Love the shorts too. Wearing matching ethnic clothing is…AWESOME!!! You can always tell the missionaries from the normal people on a Sunday morning. They are the funny looking people in matching clothes that nobody wears overseas. Whoa. True, flannel is an acceptable fabric for missionary apparel. We wear lots of flannel during those winter-up-north missions conferences. But this level of flannel plaid is toxic. 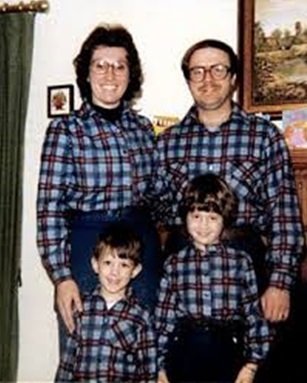 Sure these folks look happy about the matching plaid but deep in their hearts they know this is wrong. Very wrong. 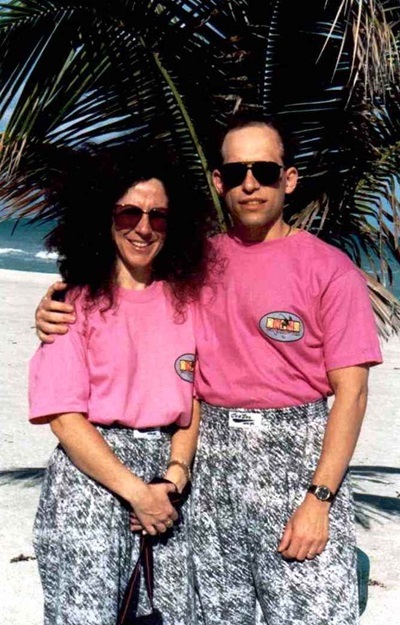 Missionaries often use matching clothing to help people identify gender. In this example, we have men in plaid short sleeves and jeans…women in sweater vests. Simple formula that works: Men/plaid Women/sweater vest. It’s in all the biology books. Well, we’ve already seen how jammies for the prayer card can work out. But really…what if you want your poodle involved with the zany fun? Make sure you put a matching night cap on Fifi. 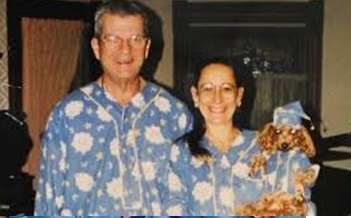 Another simple formula: Humans/jammies Other Mammals/jammies and night cap. Oh my!!! What’s this all about? 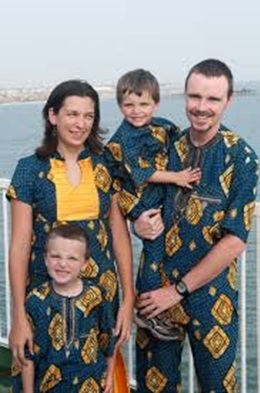 Well, it answers the question: How can a single missionary guy tap into the matching clothing prayer card design? 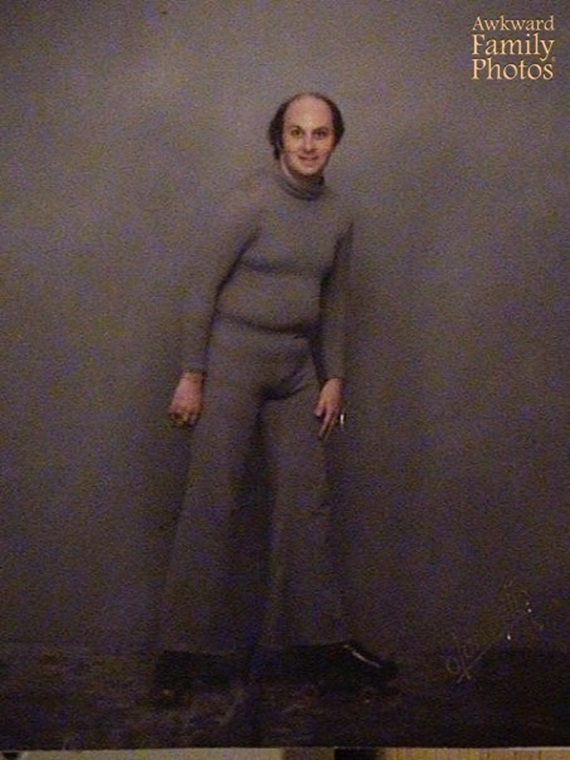 If you don’t have a poodle to dress in all grey, just grey out the whole photo. Admittedly, this dude is still creepy but at least you know he’s trying. Oh my ! Stop. I almost had a moment. 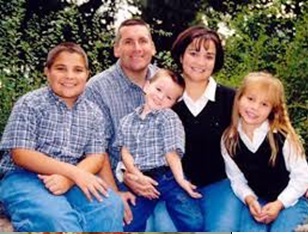 And the poor kid who wet her jeans in plaid fam photo #9. Best letter yet Tim. double LOL!!! !